In book one of the Plain City Bridesmaids we met Katy, Megan and Lil. Promised to be best friends always. In Something Old we read how Katy's life unfolded and God's plan for her. In Something New we follow Lil, the spunky one of the three. Lil has always been one to press the boundaries of her conservative Mennonite faith. Removing her head covering, wearing shorts, and longing for a career as a head chef. The girls in book one share the Doddy house and enjoy the time with each other. Once Katy marries, her and Jake move in there as Lil is needed at home. Back home on the pig farm, not where Lil wants to be! She must stay though to help with her depressed Mom. The farm is failing, her mom's depression is getting worse, and Lil is about to lose her job. On her way to work at a restaurant Lil literally bumps into Fletch, actually Fletch's boss's car!. There were sparks of interest on both of their parts. They exchange insurance info, and phone numbers, yet Lil never hears again from Fletch until he shows up at the family farm as the vet's intern. Lil likes Fletch but he attends a more contemporary Mennonite church. Her Dad insists she date a conservative. The story line moves along at a great pace, never dull or forced. If flows naturally as we see Lil and Fletch's relationship grow and change. Their relationship is not without conflict as Fletch tries to please his mentor, who is paying for Vet school. Pleasing him in a secret way that inflicts harm on the family farm. Can they look to God for their dreams and desires rather than their own or the family's ideas? I love Lil's spunky nature, and her dedication to family. Despite having to be back on the farm, she invests in her mother battle the depression. 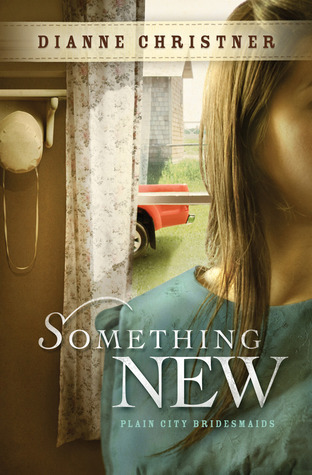 I love that Dianne Christner grew up Mennonite and has the true story to tell. I have Mennonite friends and have found that Dianne writes with an accuracy I have not found in other stories. Life is going well for Megan. She's working with Chance, a charming and daring missionary pilot. Then Micah Zimmerman moves into her parent's home as a pastoral candidate for their Conservative Mennonite church--and he doesn't look anything like the gawky young man who had a crush on her in college. Reading through her grandparent's love letters helps Megan see the true difference between Chance and Micah. Will her insight come too late or is there still time to find the hero of her dreams? I've been looking for a great book series to start since I've found myself missing my time reading at night. I'll have to check these books out. Its so fascinating that she grew up Mennonite. I've only read one Amish book, but I'd love to read more!